This package is for someone wanting to achieve the whitest possible teeth without the sensitivity. This includes not ONLY the 2 hour laser whitening treatment, but a take home kit you use for 7-14 days you keep using to continue the whitening process. 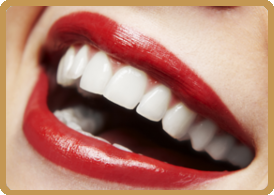 This package is for someone wanting to achieve a whiter smile without the inconvenience of home trays. This package includes the Whitening Extender Pen for touch ups as needed. This package is for the experienced whitener who just wants to refresh their smile. This package does NOT included the Whitening Extender Pen, but you can purchase it separately. This is a free service for our customers that have had one of our whitening session and keep their 6 month recall visits. Available in Peroxide gel OR All Natural Zero Peroxide gel. YOU CHOOSE!! Lip gloss – special formulation of blue undertones making you teeth look whiter! Note: Teeth whitening is not recommended for children under 13 or while pregnant or breast feeding.